Stephanie Mayer-Staley's work ranges from set and lighting design to installation, land art, painting, photography and stone masonry. Living "between two worlds," her art reflects her desire for cross-cultural understanding. Mayer-Staley's art has been produced, displayed and honored in the United States as well as in Germany. In the U.S., her local visual art (installation, sculpture and mixed media) has been displayed at the Pittsburgh Biennial, Artists Upstairs, the Three Rivers Arts Festival and the Mattress Factory. 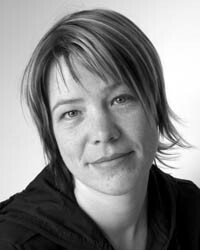 She works nationally and internationally as a freelance set and lighting designer. Selected design projects in Pittsburgh include: Assassins (Conservatory Theatre Company), Pinocchio (Playhouse Jr.), Death of a Salesman and A Moon to Dance By (The REP) - named Best Play of 2009 by the Pittsburgh Post-Gazette, Hedda Gabler and Endgame (Pittsburgh Irish and Classical Theatre), The Collected Works of Billy the Kid, After Mrs. Rochester and Electric Baby (Quantum Theatre), Neighborhood 3: Requisition of Doom (Bricolage Theater), - named Best Design in 2009 by Out's Theater Review and Lost Boy Found at Whole Foods (Conservatory Theatre Company). "In search of the artistic home," HowlRound, 2012. "Personality Test: Stephanie Mayer-Staley," Pittsburgh Tribune-Review, July 31, 2013.